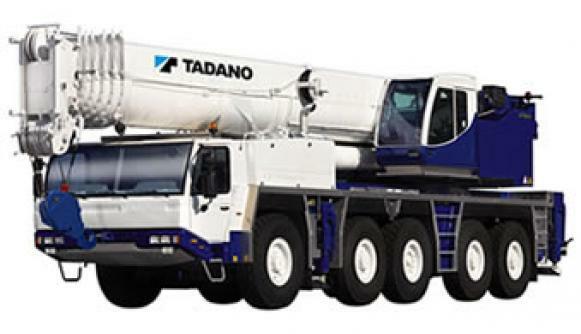 Tadano manufactures all-terrain cranes that are ideal for both on and off-road construction and industrial projects. Regardless of the location, temperature or climate, Tadano’s all-terrain cranes are just as reliable in bold new development projects as well as in meticulous maintenance operations on historical landmarks. 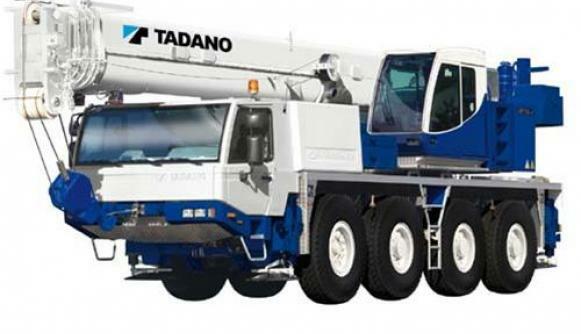 All of the all-terrain cranes feature FAUN purpose built frames with two-man, full width carrier cabs of composite structure (steel sheet metal and fiber glass), windshield of laminated safety glass with windshield wipers and washers, sliding side windows of hardened safety glass and adjustable seats with safety belts and headrests. Safety devices include electronic load moment device and automatic overload shut-off, hoist limit switch with shut-off, overload warning and load moment gauge. Digital displays show boom angle, boom length, sheave height, working radius and hook load. 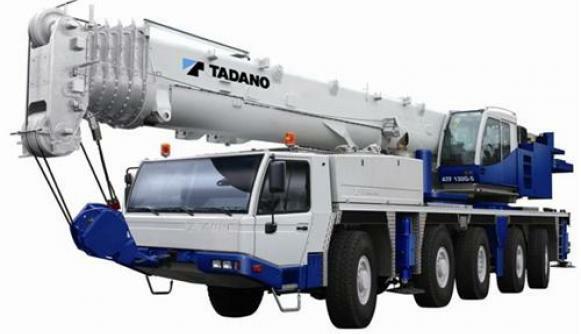 The Tadano ATF 400G-6 offers high capacity lifting, versatile mobility and reliable design compared with other similar 6 axle all terrain mobile cranes. The ATF 400G-6 also comes standard with a tiltable operator cab with ergonomic design and comfort, and the Tadano Crane Lift Adjuster system for safety and efficiency when performing heavy crane lifts that require superior precision. Tadano’s OEM Hello-Net software allows efficient and accurate service diagnostics via their own proprietary web-based software. Gross Vehicle Weight 167,053 lbs. Gross Vehicle Weight 140,419 lbs. Gross Vehicle Weight 133,842 lbs. Gross Vehicle Weight 122,942 lbs. Gross Vehicle Weight 94,522 lbs. Gross Vehicle Weight 83,987 lbs.